Hotels.com is a leading global lodging brand operating 90 localized websites in 41 languages. 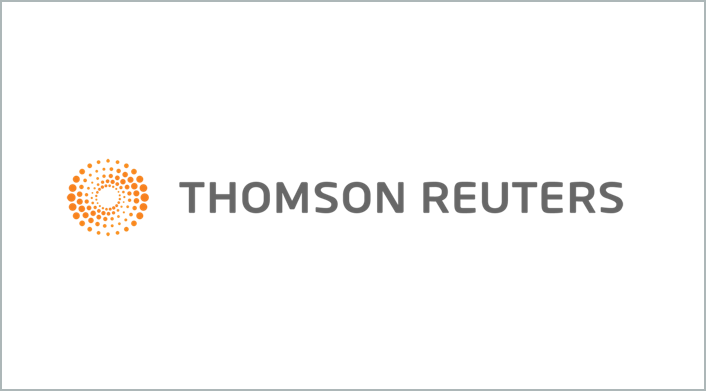 Thomson Reuters is the world’s leading source of news and information for professional markets. Intuit is a business and financial software company that develops and sells financial, accounting and tax preparation software and related services for small businesses, accountants and individuals. As the world’s leading provider of high-resolution Earth imagery, data and analysis, DigitalGlobe works with enormous amounts of data every day. Dow Jones & Co. is a global provider of news and business information, delivering content to consumers and organizations via newspapers, Web sites, mobile apps, video, newsletters, magazines, proprietary databases, conferences, and radio. Cookpad is Japan’s largest recipe sharing service, with about 60 million monthly users in Japan and about 90 million monthly users globally. Every day Grammarly’s algorithms help millions of people communicate more effectively by offering writing assistance on multiple platforms across devices, through a combination of natural language processing and advanced machine learning technologies. The Move, Inc. network, which includes realtor.com®, Doorsteps® and Moving.com™, provides real estate information, tools and professional expertise across a family of websites and mobile experiences for consumers and real estate professionals. “We believe that Amazon SageMaker is a transformative addition to the realtor.com® toolset as we support consumers along their homeownership journey. Machine learning workflows that have historically taken a long time, like training and optimizing models, can be done with greater efficiency and by a broader set of developers, empowering our data scientists and analysts to focus on creating the richest experience for our users." - Vineet Singh, Chief Data Officer and Senior Vice President at Move, Inc.
Edmunds.com is a car-shopping website that offers detailed, constantly updated information about vehicles to 20 million monthly visitors. Harnessing data and analytics across hardware, software and biotech, GE Healthcare is transforming healthcare by delivering better outcomes for providers and patients. Zendesk builds software for better customer relationships. It empowers organizations to improve customer engagement and better understand their customers. More than 94,000 paid customer accounts in over 150 countries and territories use Zendesk products. "Amazon SageMaker will lower our costs and increase velocity for our use of machine learning. With Amazon SageMaker, we can transition from our existing self-managed TensorFlow deployment to a fully-managed service. Amazon SageMaker also gives us easier access to other popular deep-learning frameworks, while managing the infrastructure for authoring, training and serving our models." Atlas Van Lines is the second largest van line in North America, formed in 1948 by a group of entrepreneurs in the moving and storage industry. The organization was developed with the single goal of moving from coast to coast while adhering to the golden rule of business. In addition to a robust footprint, Atlas boasts stringent agent quality requirements that surpass that of the industry. During peak moving seasons, the Atlas agent network works together across markets to meet customer demand. Traditionally, their ability to forecast capacity was manual and labor intensive. They relied on the wisdom and gut instinct of resources with many years of experience. Atlas had the historical data from 2011 forward and desired to find a way to dynamically adjust capacity and price based on future market demands. Atlas worked with Pariveda Solutions, an APN Premier Consulting Partner, to help unlock the possibility of proactive capacity and price management in the long-haul moving industry. Pariveda prepared the data, developed, and evaluated the Machine Learning model, and tuned the performance. They used Amazon SageMaker to train and optimize the model, and then exported it using Amazon SageMaker’s modular nature to run using Amazon EC2. Formerly Motoring.co.uk, Regit is an automotive tech firm and the UK’s leading online service for motorists. They deliver digital car management services based on a car’s registration plate, and provide drivers with informative reminders such as Ministry of Transport (MOT) tax, insurance, and recalls. Regit worked with Peak Business Insight, an APN Advanced Consulting Partner, to apply “Categorical Machine Learning models” that handle both category and variable data simultaneously to give predictions about the likelihood of users changing cars, resulting in a sale for Regit. Peak used AWS services such as Amazon SageMaker for real-time ingestion, modeling, and data output. Amazon SageMaker handles 5,000 API requests a day for Regit, seamlessly scaling and adjusting to relevant data requirements and managing the delivery of lead scoring results. Meanwhile, Amazon Redshift and Amazon Elastic Compute Cloud (Amazon EC2) instances efficiently and continuously optimize model performance and results. With Peak, Regit has been able to predict which of its 2.5 million users are going to change cars and when. This means they can serve customers in a more personalized and targeted way, increasing call center revenues by more than a quarter. Major League Baseball (MLB) is the most historic professional sports league in the United States and consists of 30 member clubs in the U.S. and Canada, representing the highest level of professional baseball. Statcast is a state-of-the-art tracking technology introduced by MLB that allows for the collection and analysis of a massive amount of baseball data, in ways that were never possible in the past. AWS’s broad range of cloud-based machine learning services will enable MLB to eliminate the manual, time-intensive processes associated with record keeping and statistics, such as scorekeeping, capturing game notes, and classifying pitches. By using Amazon SageMaker, MLB is empowering its developers and data scientists to automate these tasks as they learn to quickly and easily build, train, and deploy machine learning models at scale. MLB and Amazon ML Solutions Lab are using Amazon SageMaker to test how well they can accurately predict pitches by evaluating the pitcher, batter, catcher, and situation to predict the type and location of the next pitch. MLB also intends to leverage Amazon SageMaker and the natural language processing service Amazon Comprehend to build a language model that would create analysis for live games in the tone and style of iconic announcers to capture that distinct broadcast essence baseball fans know and revere. Celgene is a global biopharmaceutical company committed to improving the lives of patients worldwide. The focus is on the discovery, development, and commercialization of innovative therapies for patients with cancer, immune-inflammatory, and other unmet medical needs. Zocdoc provides medical care search for end users with an integrated solution about information on medical practices and individual doctor schedules. The focus is on patient needs and to deliver the best healthcare experience. “At Zocdoc, our focus has been to make it easy for patients to find the right doctor and book an appointment at the most convenient time and location. There is a lot of excitement among Zocdoc engineers around how easy it is to quickly build, train, and deploy models using Amazon SageMaker. One of our mobile engineers was able to train and deploy a doctor specialty recommendation model from scratch in less than a day, which we ended up rolling out to production. Previously, our data science team had to contribute to the development of any model work, which slowed down product teams. With Amazon SageMaker, we can get this from concept to production much faster, due to the ease of streamlined end-to-end capabillities of SageMaker." SmartNews is the largest news app in Japan delivering quality information to more than 11 million monthly active users in the world. With machine learning technologies, SmartNews helps users with the most relevant and interesting news stories. The machine learning algorithms at SmartNews evaluate millions of articles, social signals, and human interactions to deliver the top 0.01% of stories, that matter most, right now. - Kaisei Hamamoto, Co-Founder and Co-CEO, SmartNews, Inc.
Terragon Group is a data and marketing technology business that unlocks value for businesses using insight to reach the mobile audience in Africa. 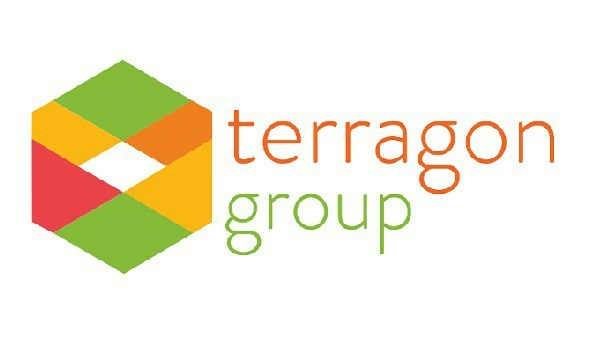 Over the years, Terragon Group has become a leader in the mobile space serving local and multi-national brands, spanning across multiple geographies. Delivering the right ad message to the right user at the right moment requires personalization and Terragon uses data, insights, and Artificial Intelligence to help businesses reach the right audience in Africa. Dely is running Japan's best cooking video service, Kurashiru. It strives every day to make culinary services that impact the world. Kurashiru helps many people per day, where it introduces a variety of tasty food recipes that color the dining table with cooking videos. Tens of millions of people watch and listen to the monthly recipe service in Japan. “We exceeded 15 million downloads of our mobile app, in 2.5 years since we launched the popular Kurashiru service. We believe it is critical to deliver the right content to our users at the right time using advanced technologies such as machine learning. To achieve this, we used Amazon SageMaker that helped us build and deploy the machine learning models in production in 90 days. We also improved the Click-Through Rate by 15% with content personalization”. - Masato Otake, CTO, Dely, Inc.
SIGNATE offers solutions for outsourcing, hiring, and consulting services, using AI. SIGNATE is also known as a data science community with more than 16,000 members where they compete each other to produce best models in the competitions. The company also offers a service using Amazon SageMaker that helps its clients deploy the models obtained through competitions into production applications. “We are leveraging Amazon SageMaker as our principal tool to build our machine learning models and this has made our model management system called “Aldebaran” more scalable. SageMaker has enabled seamless integration into our workflows including building, training, and deploying ML models simultaneously. Previously, it used to take us 3 to 6 months to deploy models into production. With SageMaker, we can deploy a model into production in 1 to 4 weeks, saving time and increasing productivity. SageMaker is our standard ML platform of choice for all our ML models”. - Shigeru Saito, President, CEO/CDO, SIGNATE Inc.
Kinect Energy Group is a subsidiary of World Fuel Services, a Fortune 100 company that provides energy procurement advisory services, supply fulfillment, and transaction and payment management solutions to commercial and industrial customers, principally in the aviation, marine and land transportation industries. Kinect Energy is a key Nordic energy provider and is dependent on the natural power resources enabled by the region’s windy climate. The business has recently catapulted forward with the introduction of a number of AI / ML services from AWS. With Amazon SageMaker, the company can predict the upcoming weather trends and therefore the prices of future months’ electricity, enabling unprecedented long-range energy trading that represents an industry-leading forward-thinking approach. Formosa Plastics Corporation is a growing, vertically-integrated supplier of plastic resins and petrochemicals. Formosa Plastics offers a full line of polyvinyl chloride, polyethylene and polypropylene resins, caustic soda and other petrochemicals that deliver the consistency, performance and quality that customers demand. ProQuest curates the world’s largest collection of journals, ebooks, primary sources, dissertations, news, and video – and builds powerful workflow solutions to help libraries acquire and grow their collections. ProQuest products and services are used in academic, K-12, public, corporate and government libraries in 150 countries.